Dawsons is delighted to be the principal sponsor of the Burry Port Raft Race for a second year. The event this year takes place on Saturday, August 11. “We sponsored the event last year and we had no hesitation in doing it again this year, especially as it raises valuable funds for both Burry Port RNLI and Afia Children’s Football Academy Foundation in Africa,” said Dawsons’ Senior Partner Chris Hope. There are plenty of prizes for those involved including best dressed raft, first raft to sink, best dressed crew, last raft over the line and worst dressed raft. 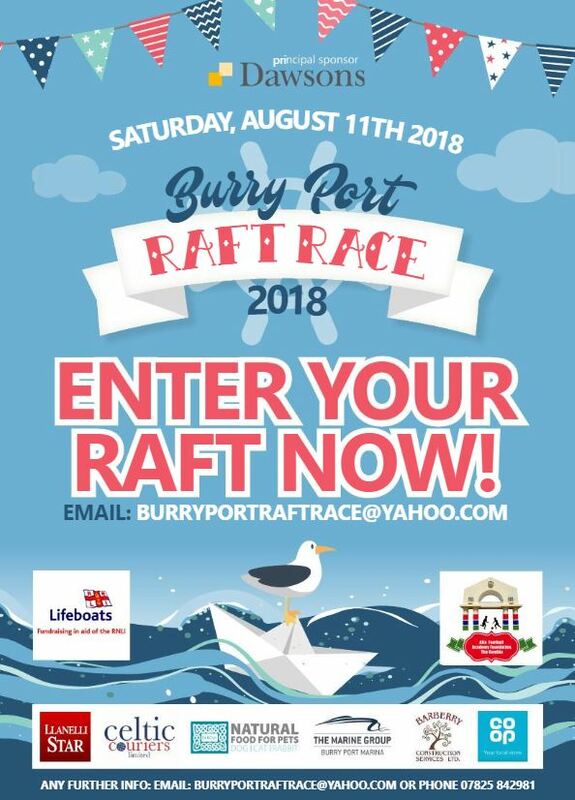 Dawsons proudly sponsored the first ‘Burry Port Raft Race’, raising money for a joint cause: Burry Port RNLI and Afia Banjul Children’s Football Academy Foundation in Africa. The African football academy is headed locally by Craig and Izzie Goodman who live in Burry Port and are also actively involved in the RNLI. “We are asking, firstly for everyone to make contact with friends and family and bring in to Dawsons offices any old or unused, children’s or adult sized, multi-stud football boots and/or flat-soled trainers,” said Senior Partner Chris Hope. “Don’t worry about the condition. 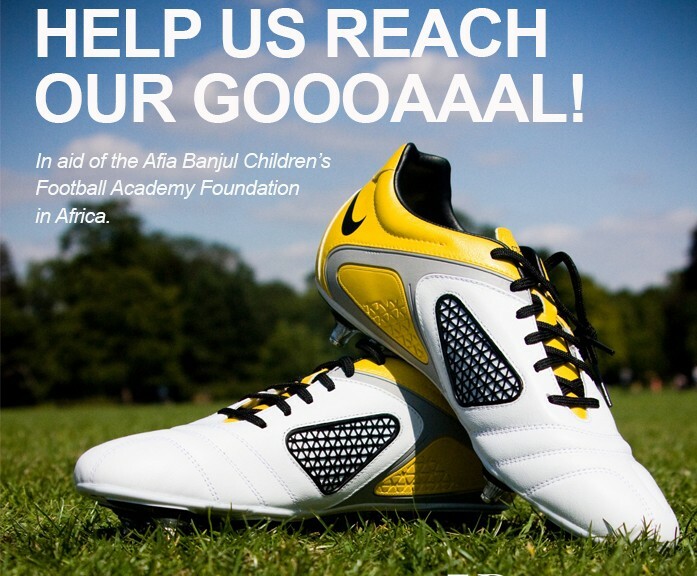 We can collect them at each office and give them to Craig and Izzie, so they can take out to Africa for their needy football team. “There’s a new season starting soon, so no doubt many boys/girls/women/men will have out grown an old pair and be putting on the latest brightly coloured new boots/trainers. 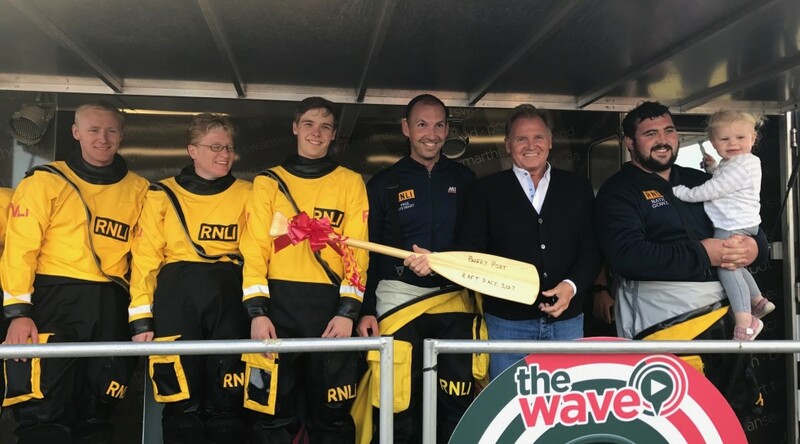 Added Chris: “The day was a huge success for the charities and another success the Llanelli sales and rental staff deserve a special mention especially raft team members Matthew Whitehead and Joe Chiffi.